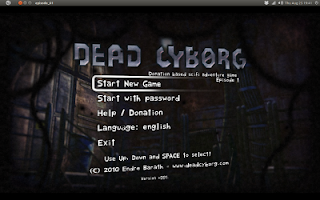 Dead Cyborg is Sci-Fi based adventure game. Is is free to play, you can play it whenever you want but don't forget to donate if you like it :) It has an easy game play, there is no action just adventure. All you need to do is explore, search and think. Dead Cyborg is divided into episodes, each episode can be finished in 2 - 3 hours. When this article is written, Dead Cyborg has finished episode 1 and episode 2 is in 65% progress. This Blender-made game is available for Windows, Mac, and Linux including Ubuntu. 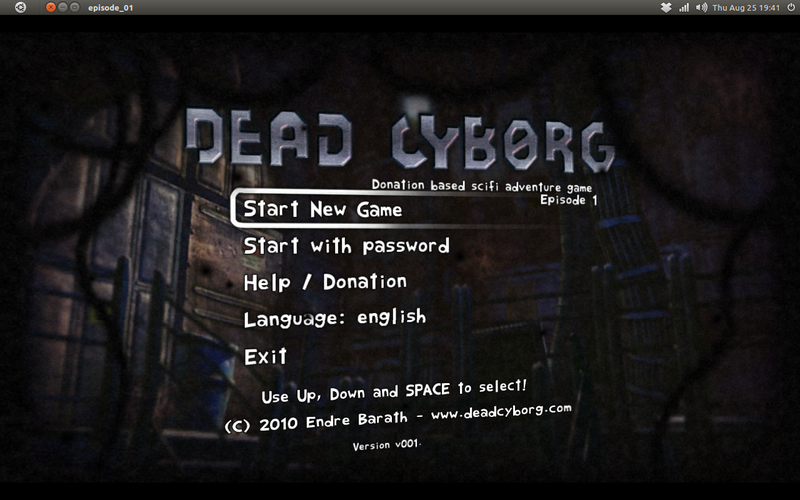 If you want to run this game on Ubuntu, please make sure you read the "README" file inside the game package. "Do not kill humans. Do not kill robots. Make energy, not war!"